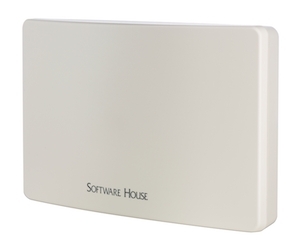 The iSTAR Ultra LT Door Controller from Software House is a special edition iSTAR Ultra door controller that provides a full IP architecture and enterprise level features for small to mid-sized access control deployments. iSTAR Ultra LT centralizes all access control decision processing and secures network communications while allowing end users to use existing infrastructure and Power over Ethernet capabilities. iSTAR Ultra LT features a scalable architecture that includes support for up to eight card readers and 500,000 cardholders. The control module maintains the local access control database and makes all access decisions, centralizing access control management for operators. iSTAR Ultra LT can be shared with several Ethernet door modules. Its encryption and authentication ensure that communications between access controllers and doors are cyber secure.